In a marriage, it can sometimes be hard to take time alone with each other, but setting aside some time together it important in keeping your marital bond strong. This is why planning a happy and romantic date night can be a fun way to rekindle a flame and enjoy one another's company, while treating yourself to a relaxing evening. 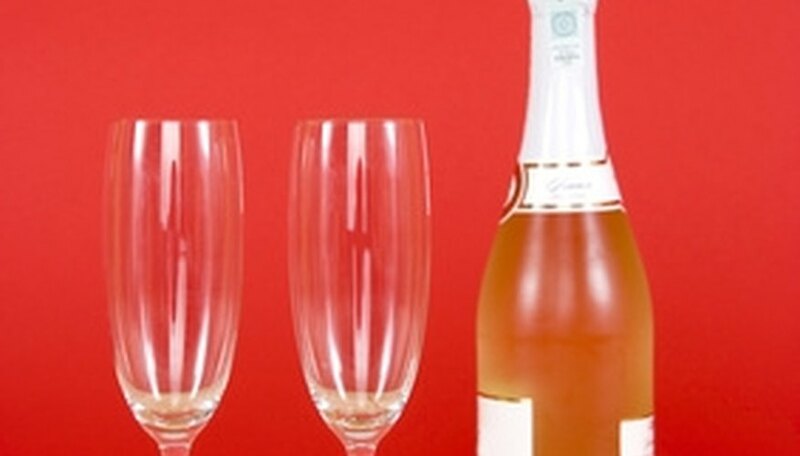 A romantic dinner with champagne can be a fun date night activity. Set a date. Discuss with your husband what date may work best based on his and your schedule and the schedules of your children if you have any. You may also want to look in your local newspaper and see if there are any fun events coming up, like a wine tasting or music festival, that you and your husband might enjoy. Figure out exactly what you both want. Talk to your husband and based on schedules, dates and events decide what you want to do. Perhaps a romantic dinner, a movie or a concert; whatever it is, it should be something you both will enjoy. Make reservations at your restaurant of choice, purchase tickets for the activity you've selected or both if needed. Before you rearrange schedules or find a sitter if you have children, make sure plans are set in stone. This way you won't have to reschedule plans or a sitter. Find a babysitter, if you need one. Once you have a date scheduled, you need to find appropriate care for your children. If you have relatives nearby, this may give you more peace of mind when leaving kids to be watched and could mean less worry while on your night out. Relatives also can be a good alternative economically, as they probably won't charge you a sitter's fee. Get ready for your big night. Depending on the activity, this can mean dressing in your finest or just dressing nicely. Maybe you don't always have time to style your hair or throw on a little extra makeup, but now you can. Again, that doesn't mean you have to wear stilettos and an evening gown, just do yourself up so you feel attractive and your husband can enjoy your natural glow. For an added bonus, you can even surprise your husband with a little something on your date night. Possibilities include a surprise carriage ride or limo rides, a visit to a favorite bar that the two of you don't get to go to often or even a cute negligee for afterward. Or maybe you can purchase a little present he has been eying. Surprising your husband with a romantic evening can also be a fun idea, but requires a bit more strategy and secret planning. Davidson, Amy. "How to Plan a Happy, Romantic Night With the Husband." Dating Tips - Match.com, https://datingtips.match.com/plan-happy-romantic-night-husband-6455006.html. Accessed 19 April 2019.